For this card, I used a flowery paper resulting from a small block as well as one pink fall of squared paper resulting from the same block. Edges are inked to the ink "Distress Walnut Stain". Under the image, I stuck of the white lace and the sewn white satin ribbon. 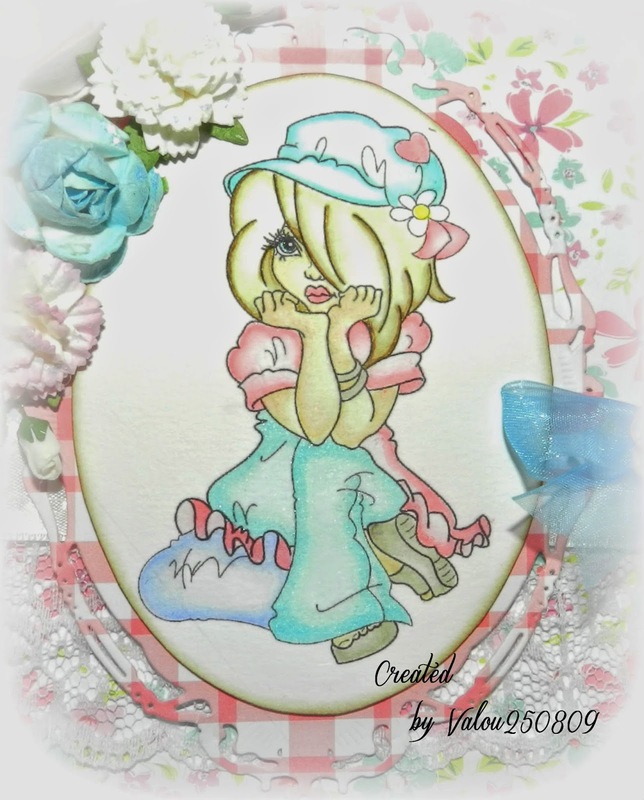 I realized a small bow with a piece of ribbon " blue Organza " and I stuck it to the right of my image. So, I decorated it with a small white flower in tissue. 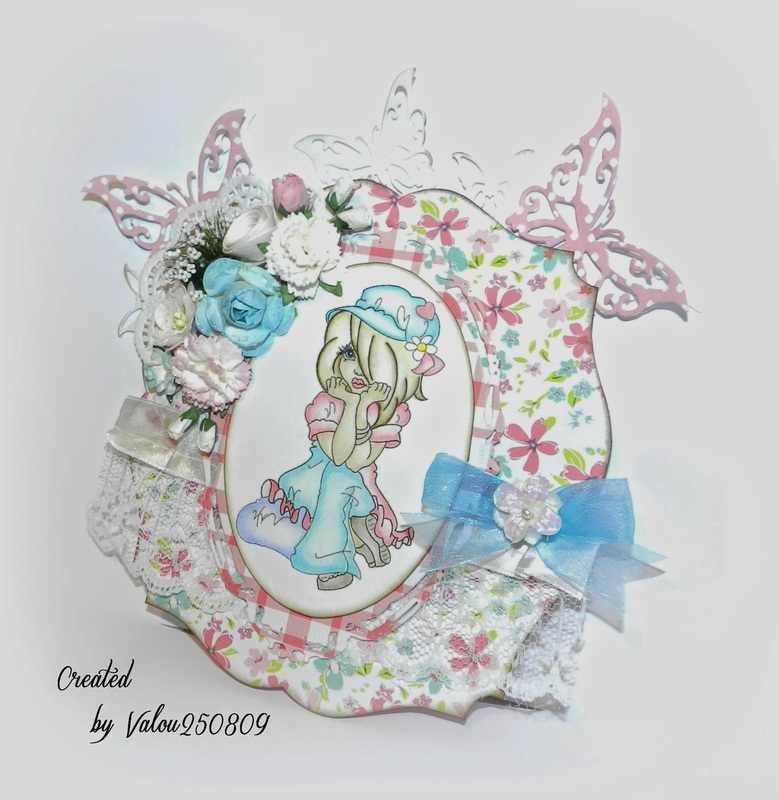 I used an image " Marika Collins " of "Whimsy Stamps". - Ink "Distress Tumbled Glass" mixed with some cream " Creative Inspirations - Winter Frost " for a given lustre effect. - Ink "Distress Shaded Lilac". I cut the image and I stuck it on a die-cut realized with a dies " Spellbinders-Nestabilities - Majestic Ovals ". - Big turquoise blue rose (30 mm). - Pink and white carnation. - White flower of cherry tree. - Paper flower rolled pink. - Turquoise blue Rose (15 mm). 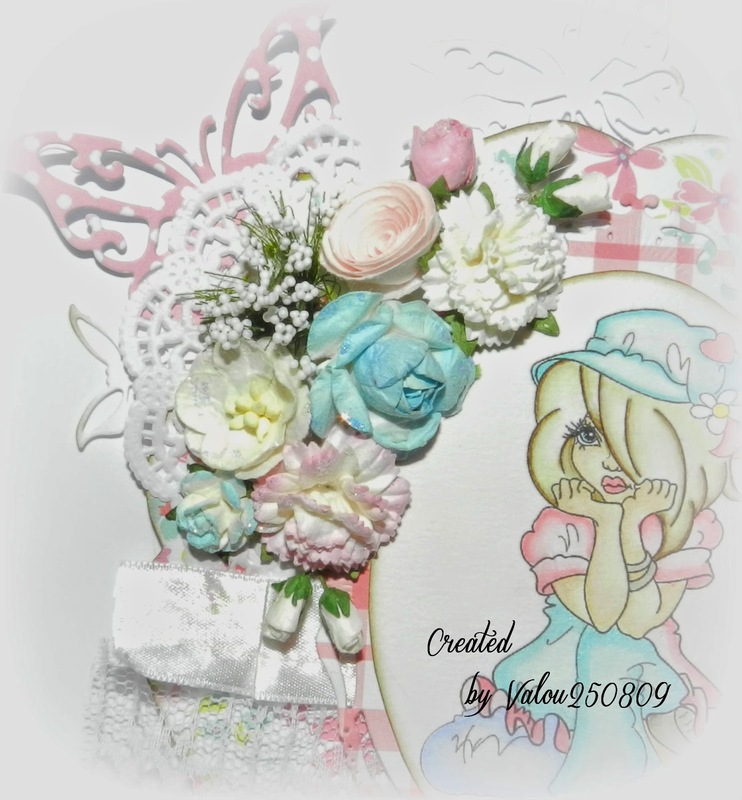 - Buttons of white pink. - Button of pink rose. Finally, I added die-cuts "Butterflies" realized with a dies " Joy! 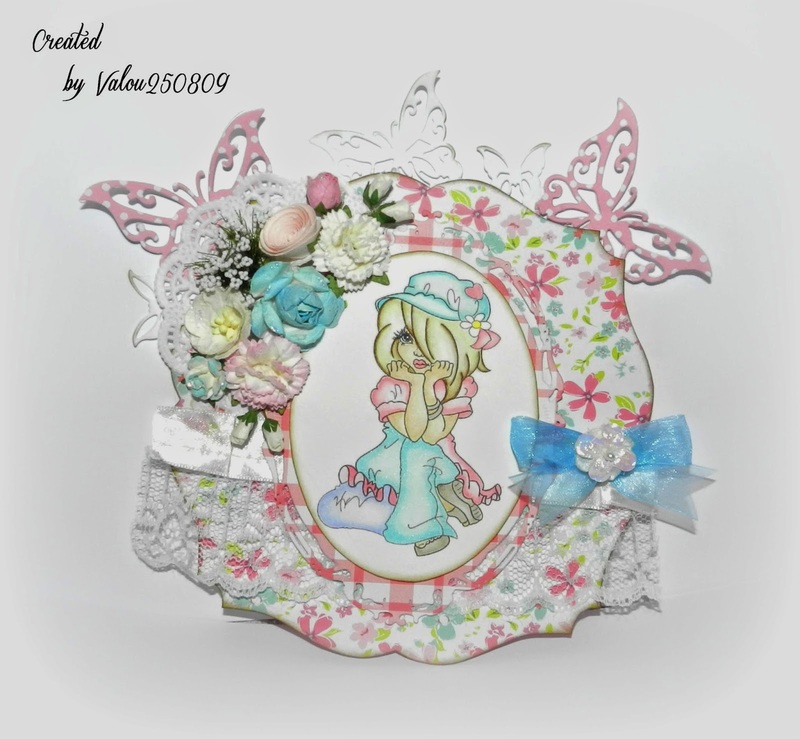 Crafts ", " Border Butterflies ".